← Arduino Uno has arrived! I’ve set up a new system at home to use as my primary PC. That, of course, required reinstalling all of the programs I use daily. I got myself in a huge problem. 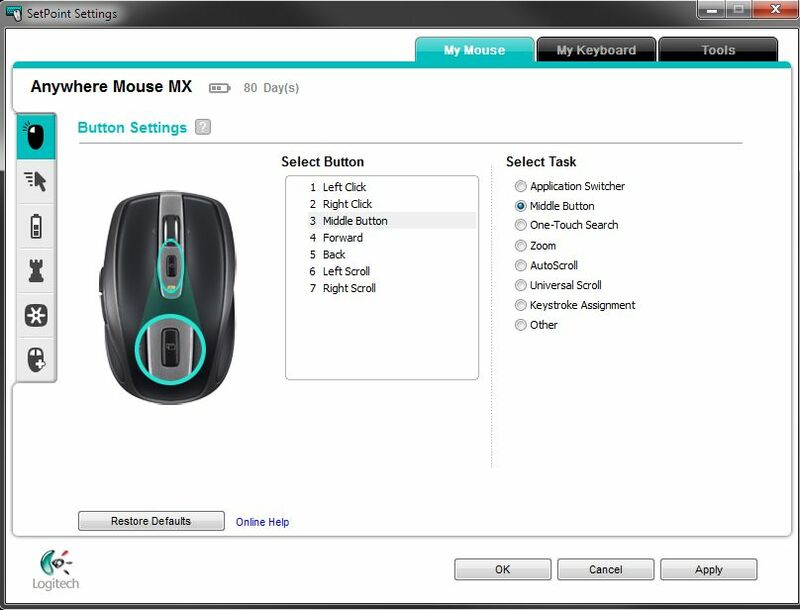 My Logitech Anywhere MX mouse could not close tabs or open links via middle button click. By default in Logitech’s Set Point software it’s set as “Application Switcher”. I, of course, changed it to “Middle Button”. Everything should be fine, but no… It was still switching between windows as previously. That got me mad… I even created post on Logitech support forums. 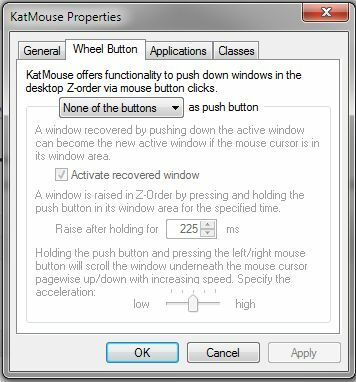 After a while playing with KatMouse‘s settings I finally figured out where the problem is. In the settings in the Wheel Button tab None of the buttons should be selected “as push button”. Then everything works like a charm :). Posted on November 28, 2010, in Uncategorized and tagged firefox, KatMouse. Bookmark the permalink. Leave a comment.